Alessandro Galilei was born on this day in 1691. 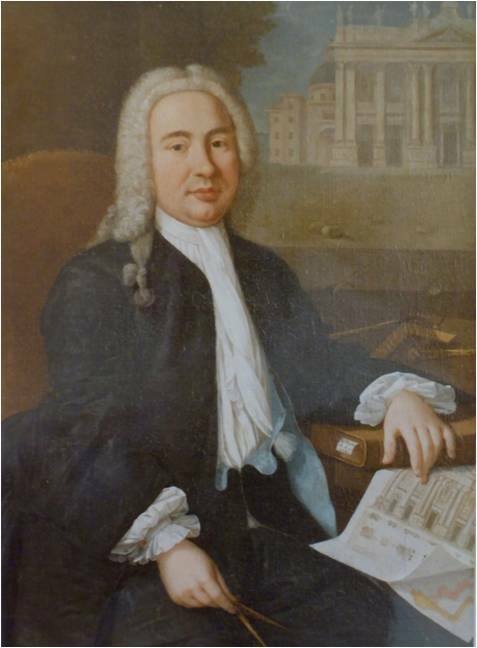 An Italian trained architect, he arrived in London in 1714 at the bequest of Robert Molesworth and was invited to Ireland by Molesworth in 1718, bidding unsuccessfully for the design of St Werburghs Church in Dublin and later making designs for William Conolly at Castletown. Galilei was unsuccessful in Ireland and returned to Italy in 1719 where his most notable work is the design the front facade of St. John Lateran for Pope Clement XII, completed 1735.